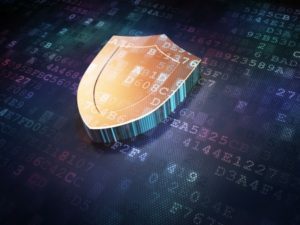 Though most business owners know that cyber security needs to be a main concern of their IT department, many don’t consider how using a IT services company in Orange County can help boost their security. Ransomware, viruses, malware, and stolen data can result in thousands of dollars of lost revenue, not to mention the time it takes to recover from an incident and the damage it can do to your company’s reputation. Small businesses are often the target of cyber attacks, with over 55% of them reporting some type of attack in the last two years. Attacks resulted in over $850,000 in damages, not to mention the added cost of lost time and revenue. Putting your own practices in place is one way to protect yourself, but sometimes it makes more sense to utilize an IT service provider. Are you or someone in your in-house IT team monitoring your system for possible threats at 11 pm or on a Saturday morning? It’s extremely difficult for a small business to monitor its own network 24/7. Though you may have software installed that will alert you if a threat occurs, you may not have anyone available to immediately respond to the threat— especially if it occurs after hours. IT services companies have a staff that works around the clock. If you don’t know where your system is weak, it’s impossible to take measures to protect it. If you’re not an IT professional, spotting weak spots in your own network can be very difficult. IT services companies have experience with a wide range of networks and have the tools necessary to test your system for spots that are vulnerable to attack. They can also perform continuous penetration testing to ensure new weak spots don’t emerge as your system evolves. No matter how good your security system and team are, sometimes the worst happens and you experience a breach or other cyber incident. Recovering from such an attack can be extremely costly and time intensive, especially if you’re trying to do it on your own. An IT service provider will put measures into place so that data and other recovery is easier and you can get back to work as soon as possible. Working with an IT services provider in Orange County not only helps make your team more efficient, but it can also improve your online security. At Intelecis, Inc., we can help you with your business’ cyber security. If you have any technology-related questions or would like to know more about our company, contact us today.